In 2002, a group of designers, their skills honed working for major design companies, advertising agencies and communications consultancies, decided it was time to work the way they wanted to work – and to offer the kind of service their clients had always asked for. They were heady days, and the result was Aardvark Creative, a full-service agency based in Bristol and built from some of the best talent the region had to offer. Since those days the company has gone from strength to strength, and it’s also been at the heart of the digital revolution, helping turn the web from a commercial novelty into a communications powerhouse. Aardvark today provides a full range of strategic graphic design and communication consultancy services to a wide range of clients, from start-ups, through to SMEs, to corporates and other large organisations. We undertake brand development and corporate identity, literature and document design, website development, online video, exhibition and display graphics, vehicle livery and more. But we always remember why we started Aardvark in the first place, to let us do what we do best, even better. Creative Director Cerise Reed is a highly skilled, qualified designer of 30 years' experience. Initially classically trained in the art of drawing boards, type scale rulers and French curves, Cerise has always had a keen interest in technology and can be found at the forefront of the digital frontier throughout her career, enthusiastically embracing Apple Macs in 1988 and Web design in 1996. Cerise has provided creative and technical services for such high profile companies as Barclays Bank, EMI Records, Dickinson & Morris, Samworth Brothers, Securicor, Hewlett Packard, Royal & SunAlliance and Herbalife International, along with public sector organisations such as the NHS Trust, the Ministry of Defence, Robert Gordon University Aberdeen, Stevenson College Edinburgh and City of Bristol College. 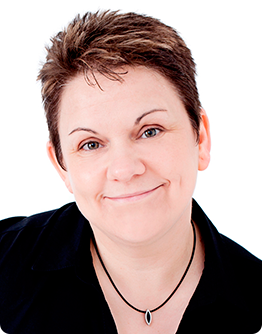 She has also written and delivered bespoke training courses for clients in the UK and USA. Cerise passionately believes that excellence in creativity should go hand in hand with superlative customer service. Aardvark Creative strives to maintain this goal, every single day.